Birds, birds, and birds, all over Texas… And in huge numbers! 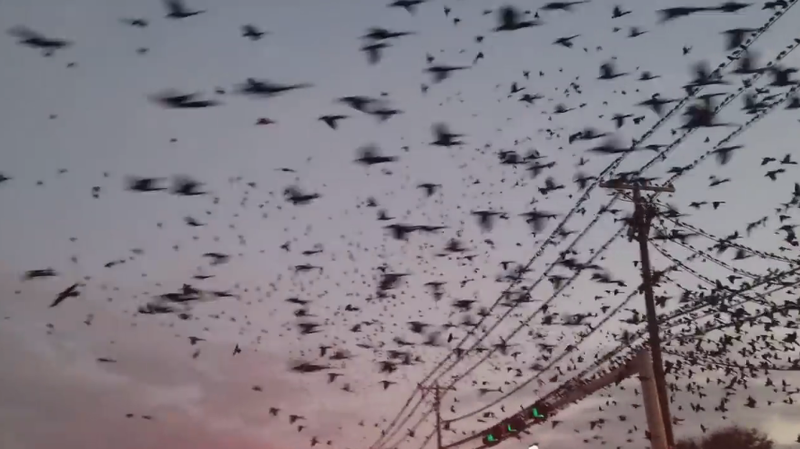 A news anchor in Houston captured an eerie scene when she stumbled upon an invasion of birds while out getting gas for her car. 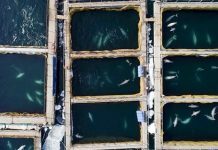 Between this and the freaky swarm spotted flying in the sky over Dallas earlier this week, we’re beginning to feel a bit uneasy about all these birds. Don’t you? Thousands of birds invade the sky over Dallas on February 2, 2018. There is a grackle problem in Texas after the same birds engulf a gas station on February 4 2018. 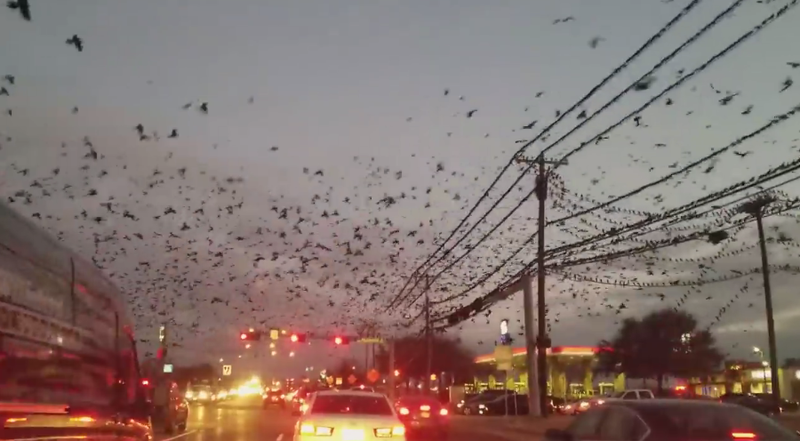 This strange gathering occurred two days before another giant swarm of birds – actually thousands of grackles again – overtook an intersection in the Dallas suburb of Mesquite on February 4, 2018, filling the sky to the point that they resemble a plague of locusts. OMG! That is creepy! Do you have a grackle problem Texas? They are so cute! I wish they can visit my yard. Occupying gas station is funny. They stop to refuel and the others are awaiting their turn. And how is this related to the end times. This is normal for us Texans. 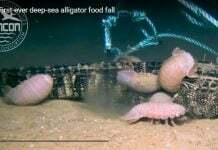 I live in Richmond, TX, outside of Houston for many years, and this type of migration happens here during the fall and winter seasons. Nothing abnormal to report, move along.